These frames let you show how proud you are of your loved one. 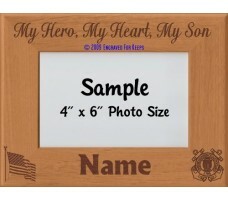 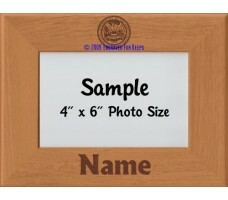 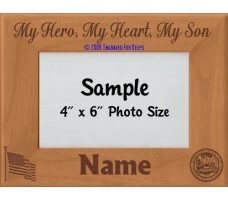 Each of these frames can be engraved with a name, or name and dates, or text of your choice. Because we do not engrave the frame until you order it, at no extra cost, we can make minor changes in the text to fit your needs. Example: change "My Hero, My Heart" to "My Hero, My Daddy"